← I Lost An Old Friend Today. You Would Think It Is The Weekend Of The Royal Wedding. Hey I have been celebrating this coming Sunday for a few days now. It is our 24th Anniversay. Today I decided I need some primping up, not PIMPING, but primping so I went to the nail shop in Gardendale. 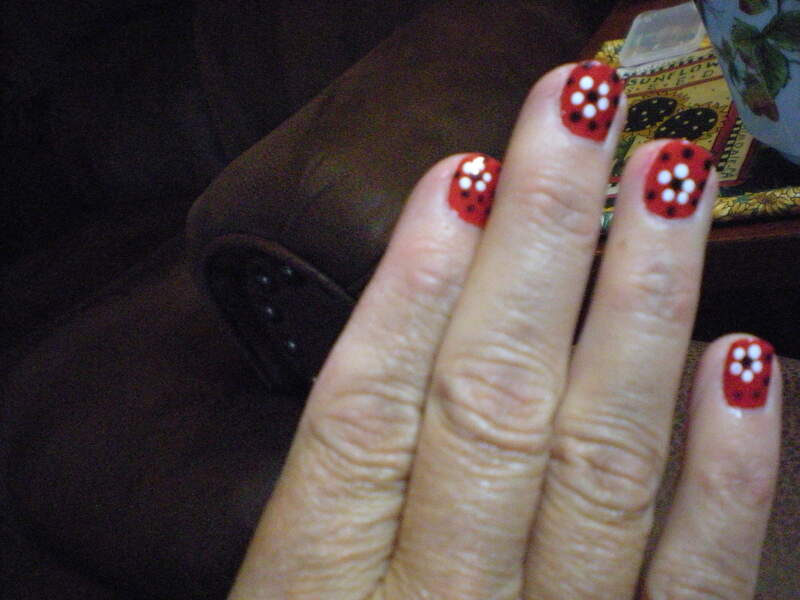 I was in a lady bug mood. I liked it so well on my toes I went ahead and got it on my hands! Next month the technician said she was going to do watermelons. 5 Responses to You Would Think It Is The Weekend Of The Royal Wedding. F-A-N-C-Y! 🙂 They look good. Stephen Vinson´s last blog post ..Weigh-In- 6LB Loss I’ve lost 262 LBS! Stephen email me privately at SadieMaesAttic@aol.com I need to tell you something. 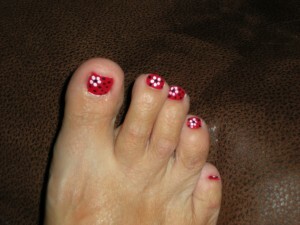 Love the red & the polka dots! 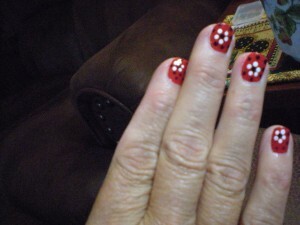 Lady Bugs they are!!! Nothing like a pedi to make a girl feel good!